[HanCinema's Drama Preview] "Gabdong - The Serial Killer"
Bong Joon-ho, "Memories of Murder"
[HanCinema's Hall of Fame Review] "The Host"
Song Joong-ki in Bong Joon-ho's "Haemu"
CJ Entertainment brings THE TOWER the North America on 1.11.2013! Song Kang-ho "Shin Ha-kyun's "Brain" became popular because of me?" 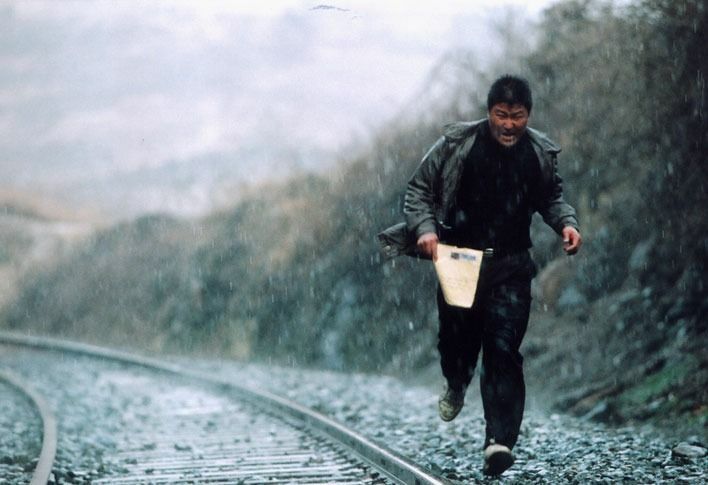 "Memories of Murder", "Voice of a Murderer", the power of true movies! Will film do justice to missing children case? In recent years, it has become more likely for Korean cineastes to be placed under the international spotlight at major film festivals worldwide. "Season of Good Rain" to close Korean film fest in L.A. Both "Chaw" and "Haeundae" are to be released overseas, respectively to the U.K and Canada. [ChanMi's movie news] Won Bin returns in new movie " Mother "
The 12th Seoul International Cartoon & Animation Festival, the only one of its kind in Korea, wrapped up Sunday after five days of festivity. Cartoon and animation buffs were able to mingle with world premier artists and take part in other fun events. Director Yim Pil-sung assembled a fine cast and a great team of experts, the result is a well-crafted film, finely calibrated on every level. The New York Times ran a story in June headlined "Korea emerges as epicenter of Asian film and music", which focused on the rise of Korean films in world cinema. The Korean horror flick "Epitaph" has been invited to the 55th San Sebastian International Film Festival in Spain. Popular actor Kim Sang-kyung will marry a dentist five years his junior in coming October, his agency said yesterday. Top Korean film company Sidus and U.S.-based broadcasting company ImaginAsian TV signed an agreement for the distribution of Korean entertainment contents in the United States, it was announced on Tuesday. Award-winning short films of various genres from Korea's Mise-en-scene's Genre Film Festival (MGFF) will be invited to the 6th annual New York Asian Film Festival (NYAFF) from June 22 to July 8 in New York City. The Korean pop culture wave of "Hallyu" is continuing in Europe in the form of various Korea-related exhibitions and film festivals. "Nobody knew me on the island"
American Viewers Enticed by Korean Movie "The Host"
A special showing of director Bong Joon-ho's works has been held in three US cities of New York, Chicago and San Francisco. Korean Blockbuster "Host" Scheduled for Jan. 24 Debut in U.S.
Records were broken in the Korean film industry last year including one for the largest number of movies produced. It doesn't look like that record will be challenged this year, but there are nonetheless big expectations for the domestic film industry. Son Heekyung has this preview for 2007. 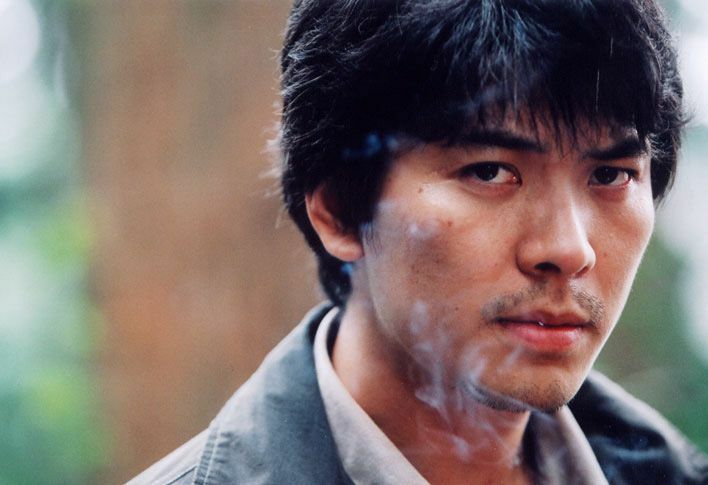 The 2006 Korea Film Festival will open in London September 27. A rare monster film is blazing a trail in South Korea's cinema history, drawing record audiences and bolstering a local movie industry being weaned from decades of a protective screen quota. Director Bong: "I am looking forward to seeing how the Mecca of monster films would respond to my movie"
Japan's major daily newspaper Asahi carried an exclusive interview with Bong Joon-Ho, Korean director of The Host, on Aug. 16. Just prior to its theatrical release, Bong Joon-ho's "The Host" is already setting records. Director Bong Joon-ho's new film The Host was unveiled here on Tuesday. The director of "The Host (Koemul)", one of the most anticipated local films this year, said last week his new film challenges prejudice against local sci-fi films. The New York Times recently featured an interview with Korean director Bong Joon-ho after his new film, The Host, was received well by the critics at the Cannes International Film Festival. Even before the heat of Yomiuri Giants slugger Lee Seung-yeop's bat cooled off, Tokyo Dome hummed with over 40,000 fans waiting for Korean actor Lee Byung-hun, fondly known as "Byonsama" in Japan. "The Host", a new film by Korean director Bong Joon-ho, has been invited for screening at the Director's Fortnight of the Cannes Film Festival. People often forget things whether they want to or not. But there are things that must not be forgotten like merciless felonies, especially unsolved cases. The Korean film industry last year saw the most number of new releases that were based on stage plays. Judging from what critics say what these films had in common were a well thoughtout plot that had already won over theater-goers. Son Hee-kyung reports on the trend. 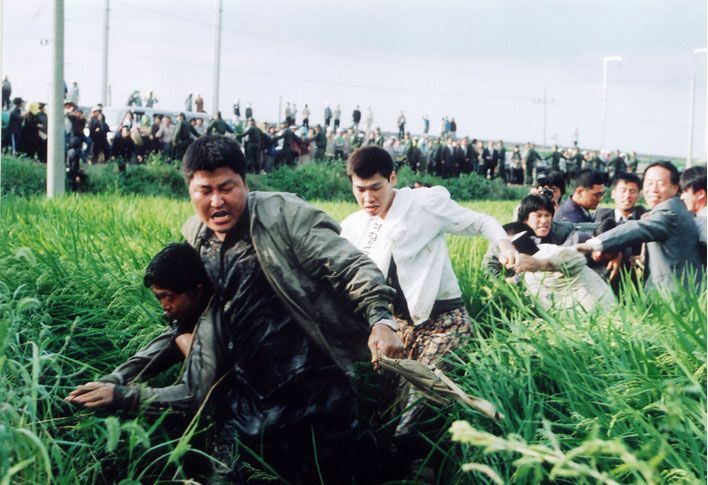 "Memories of Murder" to be ranked 30th in The Village Voice's "Best Film"
The film "Memories of Murder" directed by Bong Joon-ho was ranked 30th in "Best Film", which was conducted by the U.S. leading weekly culture magazine "The Village Voice". Daehangno in downtown Seoul, often dubbed the "Korean Broadway", has recently repositioned itself as a retraining center for film stars who want to polish their acting chops. What Do Koreans Love About Domestic Movies? Actor Song Kang-ho will perform a voice in the Korean version of the upcoming Hollywood animation film "Madagascar". Song will be the voice to the lion Alex, which in the original English version is done by Ben Stiller. A total of 12 Korean films have been invited to the 7th Udine Far East Film Festival in Italy, which will open on Apr. 22. A string of films by unknown and veteran directors will be featured at a festival in Seoul in an effort to support the creation of independent movies in Korea. "This year is my third time to visit PIFF and I think every year I come to Pusan, I see improvement in the festival", Korean actor Park Hae-il said. Song Il-gon's second feature film Spider Forest has been invited to the competition section of the 52nd San Sebastian International Film Festival in Spain. When New Zealand's biggest film fest, the 2004 New Zealand International Film Festival, opened on the 9th, the beginning of a five-month-long movie marathon hit the road. It was an abrupt about-face for the staunch film industry ally. The Korean Wave, which has sparked a Korean movie and drama fad elsewhere in Asia, is infusing fresh energy into the local entertainment sector. Its impact is also palpable at PapaDVD, a major online DVD shopping mall. 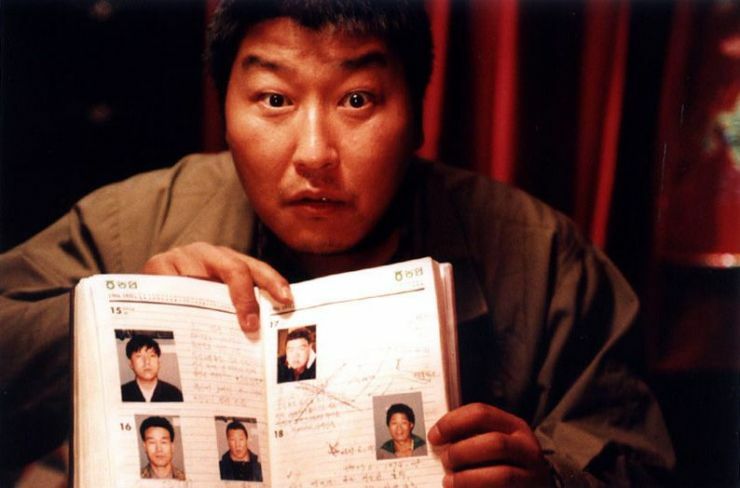 "Memories of Murder", directed by Bong Joon-ho, opened on April 11 in France and won four awards at the Festival de Film Policier de Cognac, CJ Entertainment said on Wednesday. Philadelphia's film goers will have a feast of Korean cinema to choose from when the 13th Philadelphia Film Festival opens on April 8. The Korean film "Silmido" has attracted 6 million viewers in the shortest time in Korean cinema history, sparking speculation that it may break the all-time attendance record held by "Friend", which drew 8.2 million viewers in 2001. Reflecting a year in which Korean films reached new heights, CJ Entertainment CEO Park Dong-ho was named the pop culture "power leader" of 2003 by The Herald Business, a sister newspaper of The Korea Herald. Korean international sales companies saw strong business at the recent MIFED film market in Milan, Italy. A large number of Korean films were sold to other territories, with strong interest being shown in titles Old Boy, Untold Scandal, Legend of the Evil Lake and others. The Hawaii International Film Festival, held on various islands throughout the state of Hawaii, has invited seven Korean films to screen in its 23rd edition. 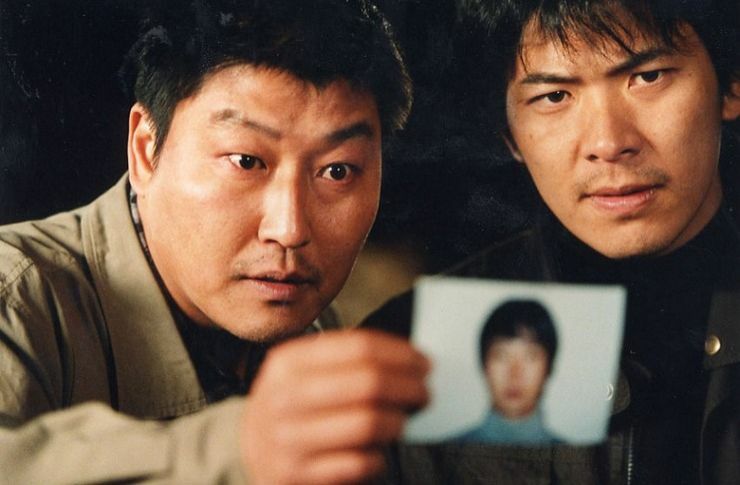 View all 12 pictures for "Memories of Murder"
One of the best korean movie that I've watched as well. yes, only one of the best korean movie and simply one the best movie too.... everybody should watch it only 1 time! One of the greatest Korean movie of the decade !